HomeCalculationsWind energyHow to Calculate the Expected Power From a Wind Turbine? How to Calculate the Expected Power From a Wind Turbine? 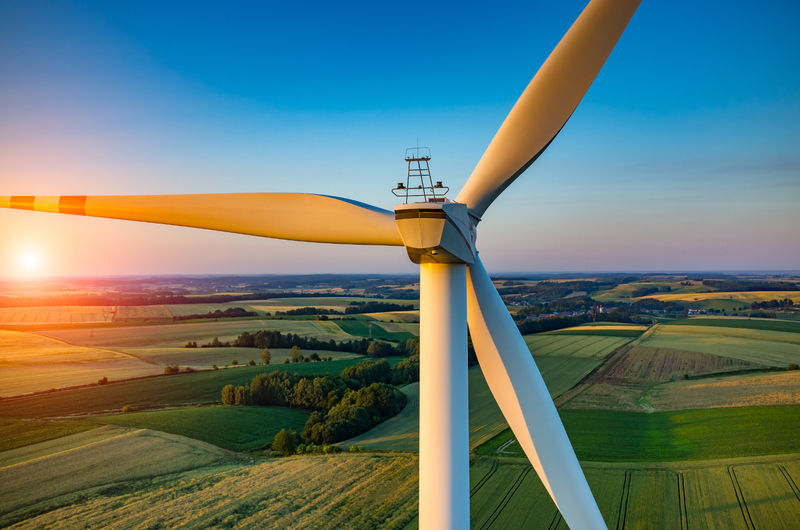 Wind turbines work by converting the kinetic energy in the wind first into rotational kinetic energy in the turbine and then electrical energy that can be supplied, via the national grid. In order to make wind farm economically viable, we need to know the expected power and energy output of each wind turbine. Turbine blades capture the wind which forces the rotation of the rotor. It has direct relation between longer blade and higher rotational power. The standard formula can be used to apply the aerodynamic performance of the blade to the wind speed and the size of the blades, as per LM Wind Power. The air density changes slightly with air temperature and with elevation. The ratings for wind turbines are based on standard conditions of 59° F (15° C) at sea level. To find out the mass hitting the blades per second, we can use the formula. A German physicist Albert Betz concluded in 1919 that no wind turbine can convert more than 16/27 (59.3%) of the kinetic energy of the wind into mechanical energy turning a rotor. There are other factors which we need to consider like friction losses, generator efficiency, the gearbox, bearings, blade efficiency and electrical losses. Considering above mentioned factors, the actual power now we get around 12,000 watts of power out of a 4.5 m long blade wind turbine system.